Key Plastics attended the Medica/Compamed Trade Fair in Düsseldorf last week. Medica is the world largest medical trade fair with over 500 exhibitors showcasing the latest in medical devices, diagnostic equipment and technologies. Key Plastics continues to grow its customer base in the medical devices sector as many OEM’s realize the benefits of dealing with an experienced injection moulding Company who can offer the entire solution from a single location. 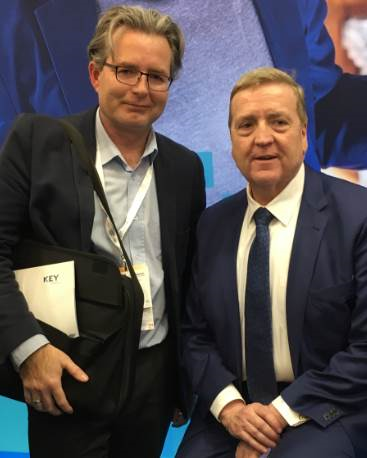 The Key team were delighted to meet Minister Pat Breen at the Enterprise Ireland Pavilion at Medica 2018.